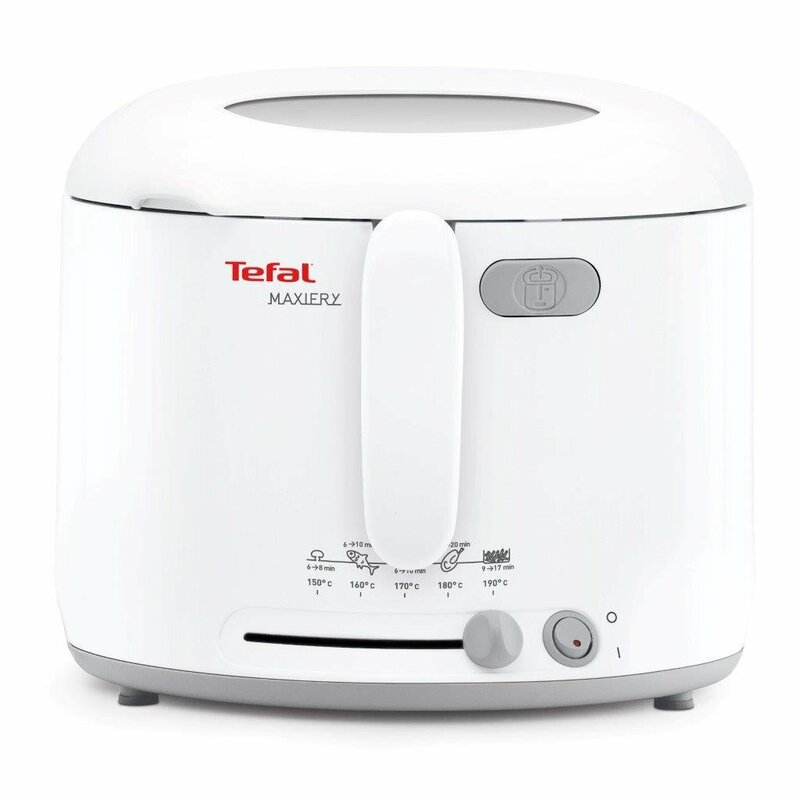 With the compact Maxi Fry, deep fry up to 1 Kg of food. 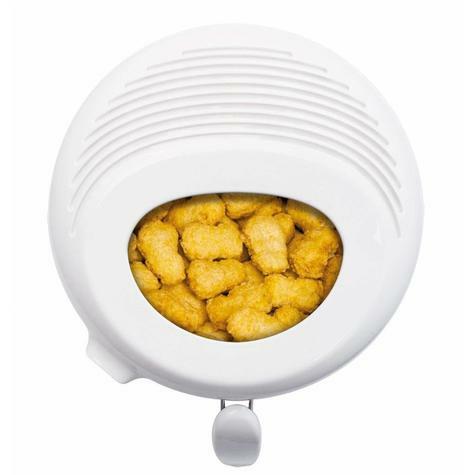 Featuring cool-wall housing, it is safe to touch even while in use. An on/off switch with indicator light and an adjustable thermostat from 150-190 degrees Celsius make it easy to use, while its compact size fits ideally in any kitchen. 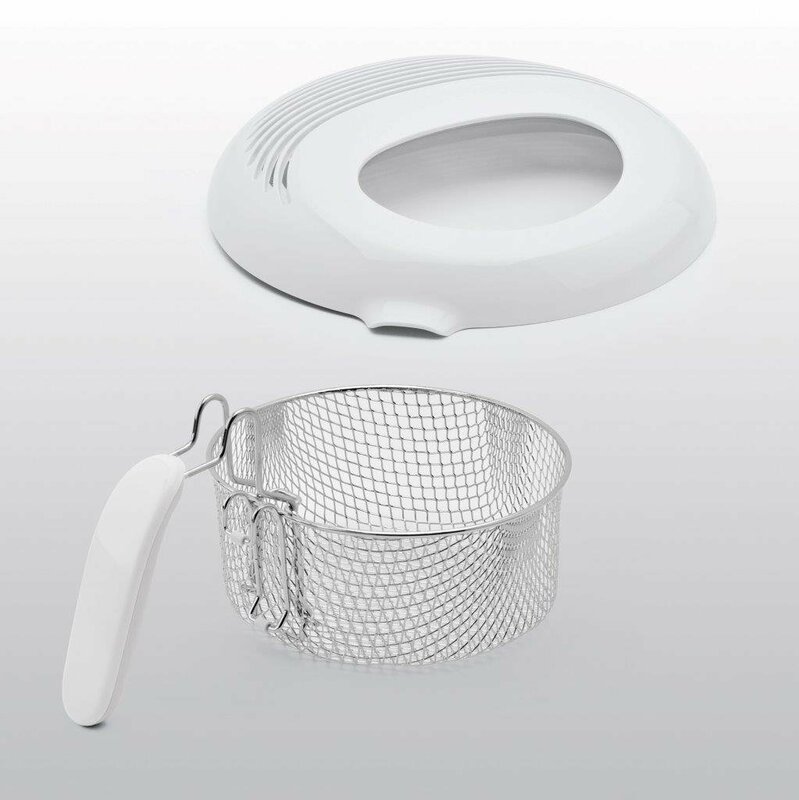 Rounding it all off are a viewing window for easy monitoring and a dishwasher-safe frying basket with folding handle. 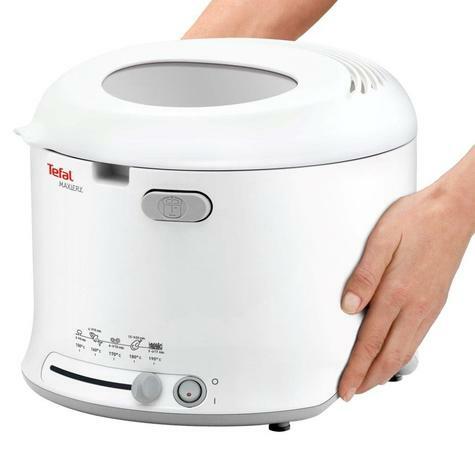 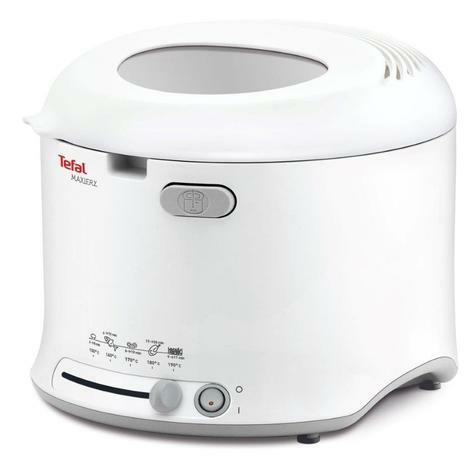 Tefal’s Maxi Fry will allow you to cook delicious fried dishes in the most convenient way. The viewing window and temperature control let you stay in command of the cooking to ensure you match your tastes. The frying basket removable and dishwasher safe which makes cleaning the oil very easy. 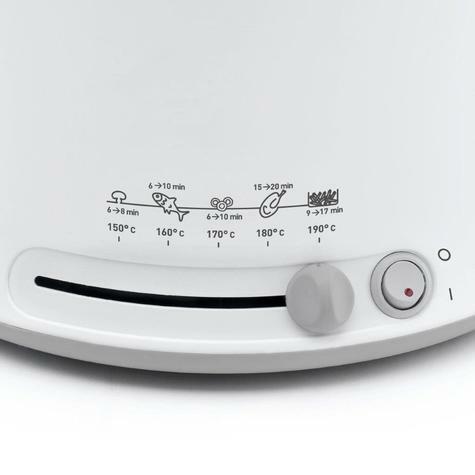 Thanks to its adjustable thermostat of five programmes, you will not only be able to cook delicious chips, but also vegetables, fish, scampi/onion rings or chicken. Its large 1.8 L oil and 1 kg food capacities will allow you to enjoy delicious fried dishes with the entire family. 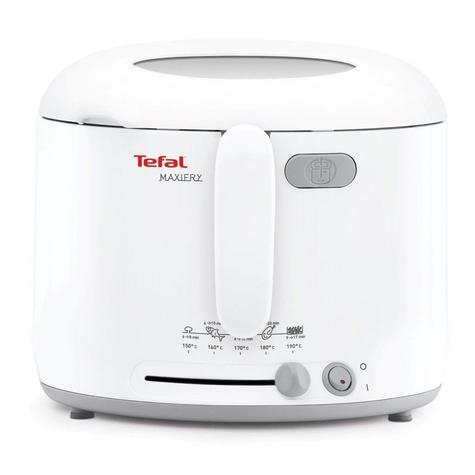 Tefal’s Maxi Fryer features a temperature indicator light and an adjustable thermostat of five programmes: Vegetables, fish, scampi/onion rings, chicken and chips that will help you cook fried dishes. 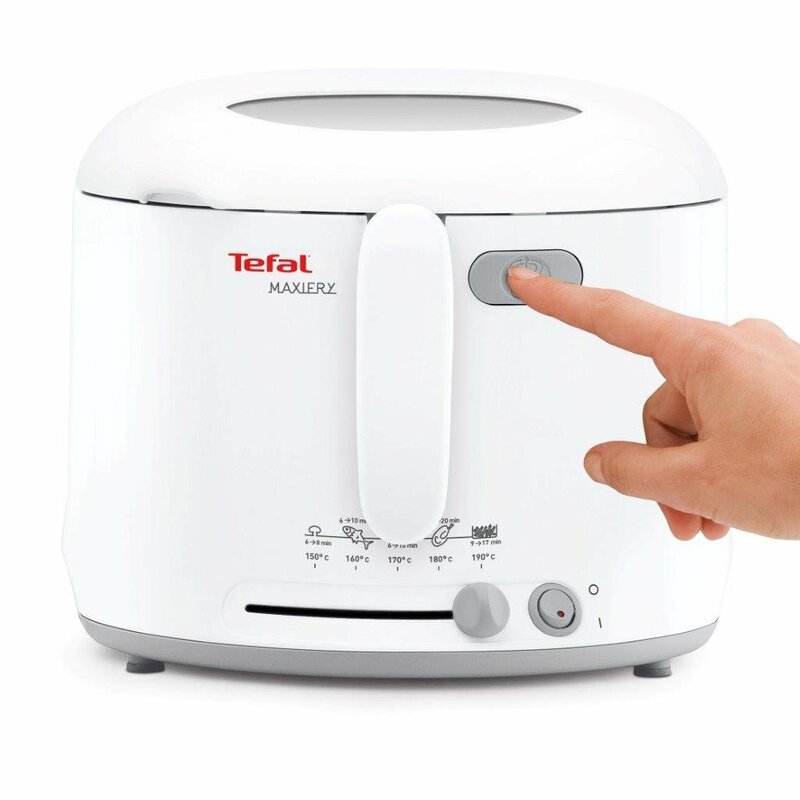 Tefal’s Maxi Fry has an automatic lid opening and a viewing window that will help you maintain control over the cooking in the most convenient way. Tefal’s Maxi Fry is easy to move around your kitchen thanks to its carrying handles. 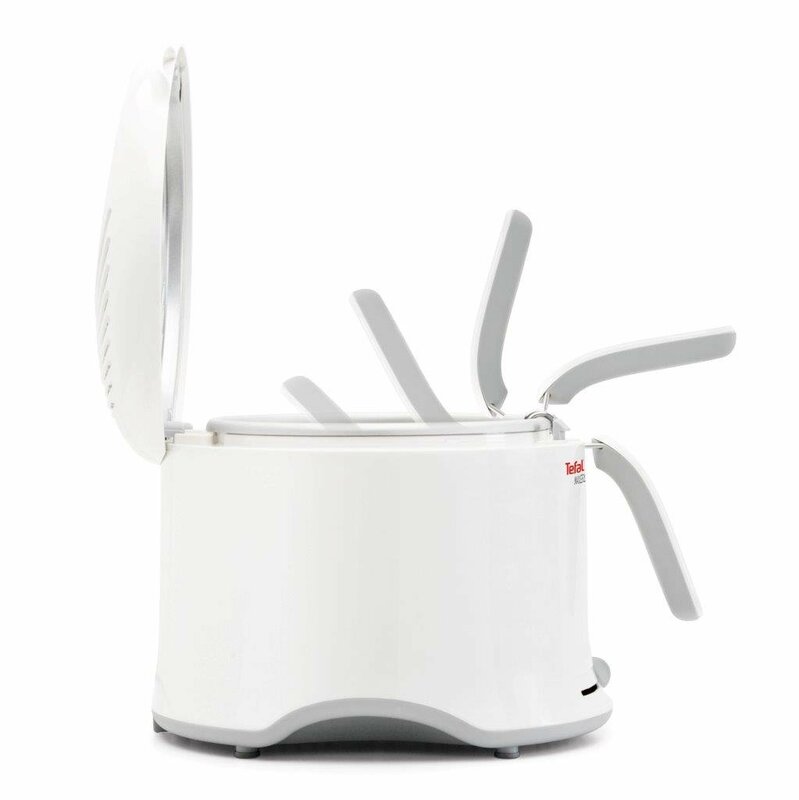 The Maxi Fry is also safe to touch thanks to its coolwall body.